The following are links to pages where you can sign up for Live Events put on by the Drug Companies who make Multiple Sclerosis drugs that are in your area to learn about Multiple Sclerosis Treatments and Therapies. The events are usually presented by prominent area doctors in the field and also some have patients who have taken the drug tell personal stories. Most of these events include a lunch or dinner and provide a great opportunity to learn new things and to meet with others who also have MS.
Ocrevus is an infusion drug for both relapsing and progressive Multiple Sclerosis. The first infusion is split over 2 weeks and consecutive infusions are given every six months. No PML has been reported as yet with this drug however it does carry some risk. Gilenya - Gilenya is an Oral Disease Modifying Drug Made by Novartis also know by the name Fingolimod. Novartis hosts both Online and Live events you can attend to learn about their offerings. Rebif - Rebif is an injectable Disease Modifying Drug made by EMD Serono also known as interferon beta 1-a. Rebif has a very informative website called MSLifelines. 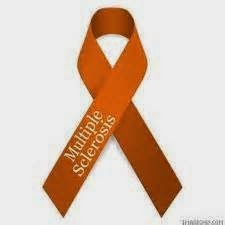 MSLifelines hosts many live and online events that allow you to learn more about Multiple Sclerosis and Rebif. EMD Serono usually requires that you are taking Rebif for you to attend an event but some are for anyone with MS. The Come to Chat events are especially good and very informative and help patients learn coping mechanisms. Lemtrada is an injectable infusion taken for a full week and only once per year. It is also know as alemtuzumab and like Tysabri is a monoclonal antibody drug. Lemtrada is produced by Genzyme. What does a connection to the Immune system to the brain mean to those with Multiple Sclerosis? Manipulate your lymphatic system to relieve neck pain? © Copyright 2015. All rights reserved. Part of the Kenzig Group of Websites. . Simple theme. Powered by Blogger.